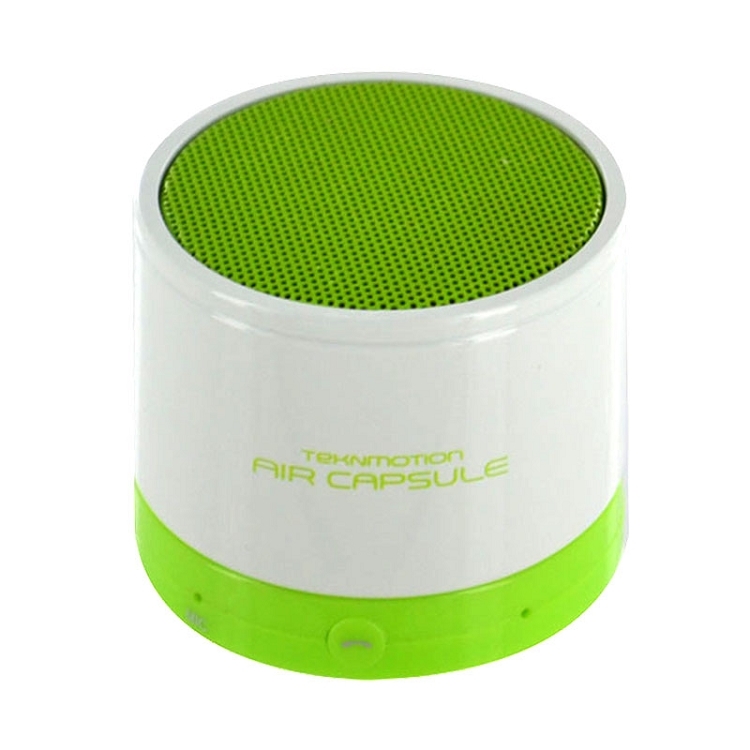 The TekNmotion Air Capsule is an ultra-compact portable Bluetooth speaker with deep, tight bass and life-like sound quality for an immersive listening experience when you're on the go. 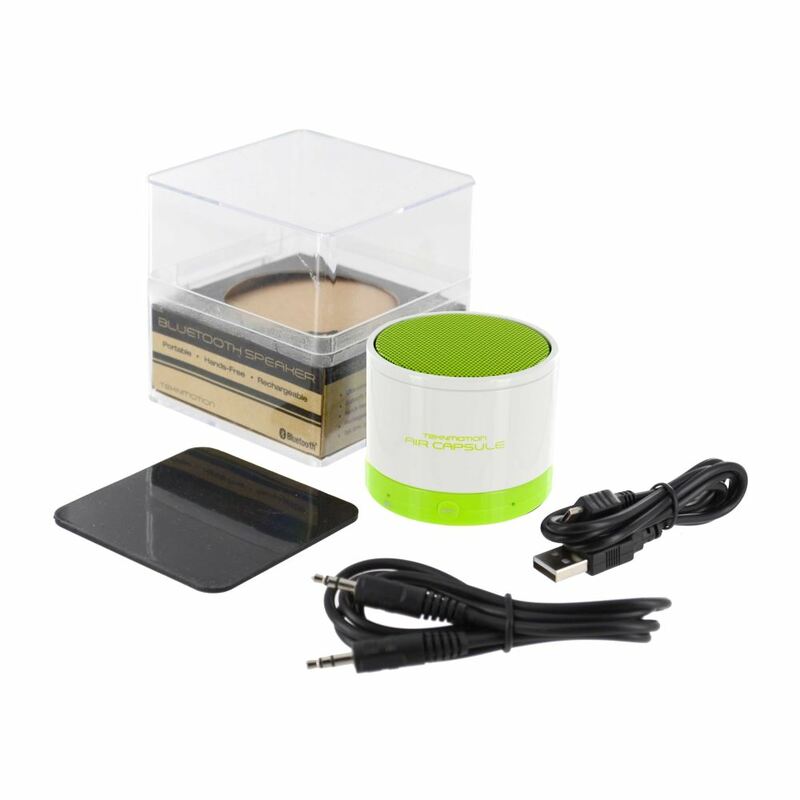 The Air Capsule is compatible with all Bluetooth-enabled mobile phones, tablets, PCs and Macs, or any device with an AUX-In 3.5mm interface. Built into the speaker is an omni-directional microphone, making it perfect for conference calls or answering calls hands-free. 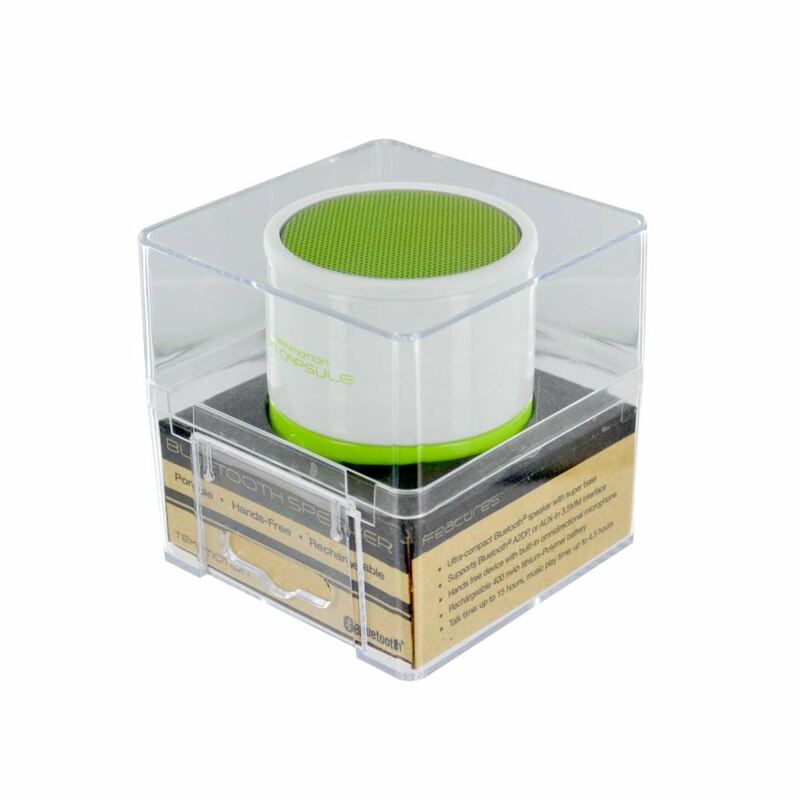 Play your favorite tunes from any Bluetooth-equipped source while you control tracks and volume wirelessly from the Air Capsule Capsule Speaker. 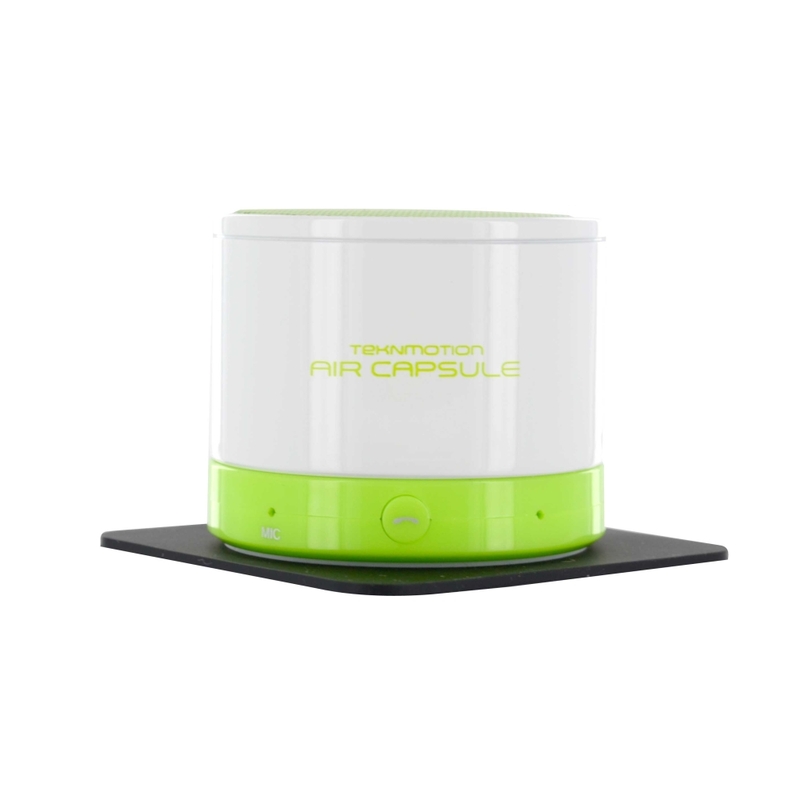 The Air Capsule features Bluetooth v3.0 + EDR with A2DP support for high quality wireless audio wherever you go. A built-in omni-directional microphone allows for hassle-free conference calls. Use it on your desktop when you want to listen to your digital music and take calls without the need to dig in your pocket, backpack, or purse for your phone. Leave your smartphone plugged in and charging across the room while you still listen to music and make and receive telephone calls. Thanks to the echo and noise cancellation for reducing ambient noise, your caller's voice will be loud and clear, and the powerful built-in microphone makes you easily understood. The built-in 400mAh Lithium-ion battery is rechargeable via USB and offers an impressive playback time. Enjoy up to 15 hours of music and talk time per charge. Red and blue LED indicators let you know when the battery is charging and when it's fully charged, as well as when the Air Capsule is on standby or receiving a call.